A few words on the new company. A few years ago when I was living in Vegas, I attended a small-business conference hosted by Dex Media. Five years had passed since I penned The New Small and I was curious about how non-techies such as lawyers, restaurateurs, and dentists viewed contemporary technology. As a group, had they evolved from generally ill-informed and even scared to more tech-savvy? What if we built and maintained our own website? What if we decided to learn how to do some our own coding? What if we generally became more self-sufficient? To be fair, the rise of powerful, user-friendly, and remarkably powerful technologies doesn’t change one simple fact about tech: Many people simply prefer to let others handle it. What’s more, that’s not going to change anytime soon. I have experienced this mind-set first-hand in my many years as a consultant. 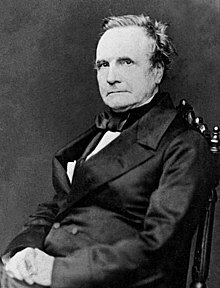 I can remember a few occasions in which my clients looked at me as if I were a modern-day Charles Babbage because I knew how to do an outer join in a database query—something that my ASU students learn in their junior year. I filed that away for a later day. That later day has arrived. Today I am pleased to announce the launch of 5marbles. It’s evident to me that many small, mid-sized, and even large firms would benefit from a high-end, boutique software-development shop. And make no mistake: that’s exactly what we’re building. We’re competing on quality, not on price. If you opt for the latter, you enter a race to the bottom that you cannot possibly win. In case you’re wondering about the name of the company, it’s a tip of the hat to my favorite Marillion album. What’s the difference between an average programmer and a great one? The general finding that there are order-of-magnitude differences among programmers has been confirmed by many other studies of professional programmers (Curtis 1981, Mills 1983, DeMarco and Lister 1985, Curtis et al. 1986, Card 1987, Boehm and Papaccio 1988, Valett and McGarry 1989, Boehm et al 2000). On a personal level, I have seen this play out often. I’ve witnessed some companies skimp on development costs only to come back to the very people who should have been building the app, database, or website in the first place. In effect, they paid more and spent more time on the project than they should have. The difference between an average programmer and a great one is enormous. I’m excited to start this company and see where it takes my team and me. If we can help you in your development efforts or find a bug with this site, then please let me know.